If you are travelling on your own you will probably need a place to stay. 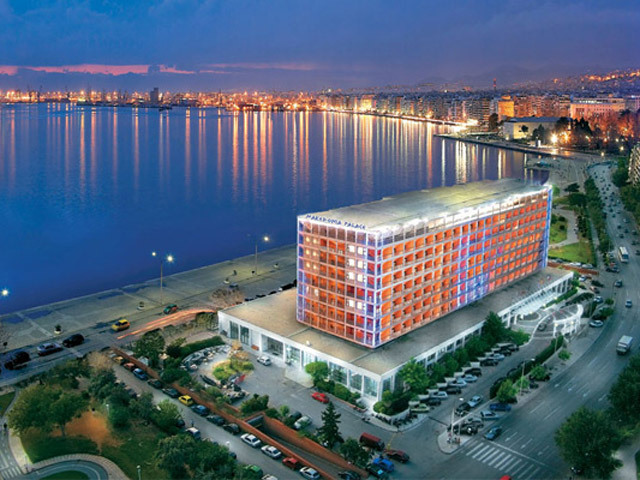 Thessaloniki Hotels Association offers information on all of the city’s hotels. They also have a very nice brochure which you can see here. Here are my personal favourites, listed in a geographical location order from the west to the east. The Met is a luxury design hotel with great port and city views just a bit off the city centre. Colors Rooms and Apartments is cheap and ultra chic with few rooms in 2 central locations. Excelsior Hotel is a small luxury hotel in the heart of the city. City Hotel has an eco friendly style in the heart of the city. Electra Palace is in the most central place – Aristotelous Square. Hotel Olympia is modern and stylish, in a central location. Hotel Orestias Kastorias offers value accommodation in the centre of the city. Daios Hotel offers great design, breathtaking beachfront view, and is located in the heart of the city. Makedonia Palace is the landmark hotel of the city, has exquisite sea and city view at a short walking distance from the city centre. Nepheli Hotel is located in the suburb of Panorama, at the north part of the city. If you want to enjoy a quiet atmosphere and great city view then this is the best choice. Hotel Nikopolis is a luxury hotel close to the airport and far from the city centre. Hyatt Regency doesn’t need any recommendations. I haver to inform you that it is very close to the airport and far from the city centre. Don’t forget to check prices on the hotel websites and on popular travel websites to find the best offer. Keep in mind that prices go up and demand is high during the popular events season, so if you are planning your visit at that time try to book well in advance !